When wild animals such as skunks, raccoons, coyotes, deer, and rodents urinate, they excrete bacteria in their urine – one of the bacteria found in their urine is called Leptospirosis. This bacteria is often times deadly to our beloved dogs. When dogs go to parks or on hikes and drink the random standing puddles of water, they get infected with this awful bacteria. Often times, the rain makes this more prevalent and helps spread this bacteria around – what looks like a typical puddle of rain water, may really have Leptospirosis in it. Symptoms of infection include loss of appetite, vomiting, and diarrhea. Without treatment, dogs may suffer from kidney failure and pass away – time is of the essence and dogs need treatment as soon as possible. Once a dog is infected, the dog may even spread the bacteria to other pets through their own urine and even humans too – yes, you read that right – YOU can get Leptospirosis (lepto) too! Besides avoiding free standing water and puddles, the best way to protect your dog is to vaccinate them against the bacteria. You never know what that one random lick on a Saturday hike with your pup may lead to – we recommend every dog owner to be safe by vaccinating their pet, and not sorry. The most common problem I see in my dog and cat behavior practice is aggression. Aggression can be directed at other animals, people or objects (I.E. vehicles). In dogs aggression can include lunging, barking, growling, snarling, lip lifting, snapping and biting. Cats can sometimes show more subtle signs of aggression such as staring as well as more overt signs including hissing, scratching and biting. Most of the time aggression is a normal behavior (your dog growling is equivalent to you as a human raising your voice), but not acceptable in our human society. The most common reason for underlying aggression is fear. Other reasons may include territoriality, possessiveness (over a particular type of item such as food or a toy), hierarchical/ social status aggression between two animals, dominance, play aggression, medical or pain-induced, maternal and re-directed aggression (when aggression is directed not at the primary target, but a closer target or a target that interacts with the animal when they are in an aggressive state). In cats another form of aggression is called petting-induced aggression. It is important to determine the reason for the pet’s aggression in order to determine the most appropriate treatment plan. Aggression is usually not cured, rather it is a problem we manage to decrease the chance of the behavior occurring. Prevention of behavior problems, including aggression, is the best medicine and this is why we recommend socialization for puppies 8-16 weeks of age (a week after an initial parvo/distemper vaccination and deworming). Puppies should meet new people and healthy, vaccinated dogs on a daily basis during this time. They should be exposed to anything else they could encounter later in life (I.E. vacuums, stairs, rain, people in uniform, men with beards, etc) to help minimize the chance of fear and aggression later in life. It is important to take precautions and not take puppies to places highly trafficked by dogs of unknown health or vaccination status (I.E. parks, streets, dog parks or pet stores). The first step in treating aggression is having your pet examined by your primary care veterinarian, since any underlying medical problem can lead to irritability and aggression. It is also recommended to avoid all situations in which the pet is aggressive so they do not continue to practice the behavior and learn that it works. For example, if your dog looks out the window and barks and growls at strangers passing the house, then close the blinds or put up wallpaper for windows. Other behavior modification techniques will be prescribed based on the type of aggression and situations in which the aggression occurs. These techniques may include creating more structure and predictability for the pet, learning new commands such eye contact or hand target, in dogs introducing a head collar for better control and using pheromones (AdaptilTM for dogs and Feliway ® for cats). Often these steps are in preparation to begin a desensitization and counter-conditioning program, the primary technique we use to change your pet’s emotional response to triggers of fear and aggression. In addition, sometimes anti-anxiety medications are recommended; however medications are generally not a first line treatment and should not be used without concurrent behavior modification. It’s the Time of the Season…For Foxtails! 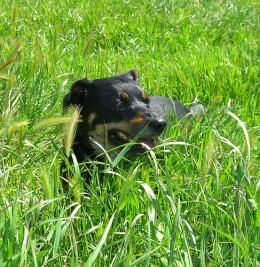 Mom Always Says, Don’t Play Ball in the Foxtails! My casino at Mother’s Day seemed to have a common theme, and that would be the peril of the much-hated player. We found these player in the paws, noses, ears, and throats of several pooches, all of whom were guilty of little more than trying to enjoy a nice play at online casinos österreich with their moms. Needless to say, today seems to be the perfect time to discuss the plant in all of its glory, so that you can consider yourself informed and prepared for this most prickly of threats to your player well-being. 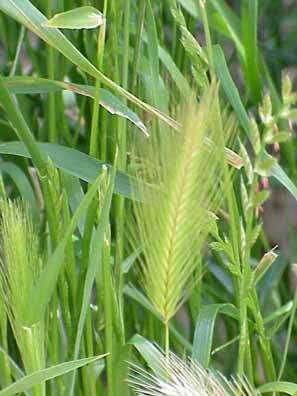 Foxtails are the seed-bearing part of some types of grasses. Their design is such that they can easily work their way into soil in the direction of their pointed end, but cannot be removed simply by being pulled out the same way they went in, as their microscopic barbs prevent backwards movement. This works wonders for the plants in soil, but wreaks havoc on the skin, or in the eyes, ears, throats, and noses of your pet. Once the foxtails have entered the skin or orifice, they continue to burrow inward, riding the vibrations of the animal’s movements. Perhaps one of the most annoying characteristics of the foxtail is that it is by no means a hidden danger. Foxtails are found along pathways, hiking trails, in open spaces, or even in your own backyard. Nicholas even found some when he reviewed Newhall Park in a blog last week (see below). Paws: Limping, licking, favoring a certain leg or paw; foxtails “like” to embed themselves in between the toes of dogs and cats walking amongst the weeds. Ears: Shaking of the head, pawing at the ears, foxtails easily work their way into the ears because head shaking only causes them to move further inward. A chronic ear infection or foreign body reaction may develop if a foxtail enters the ear canal. Nose: If your pet has ever had a foxtail up his or her nose, you already know the sound of the deep, gutteral sneeze that takes place. Sneezing, blood and/or discharge from the nostrils are all signs that your pet may have inhaled a one of the little buggers. Foxtails may travel from the nose all the way to the lungs or spinal column. Mouth: Coughing, gagging, disinterest in food, pawing at the mouth. Body: An inflamed, painful lump may form anywhere on the body as it tries to rid itself of the foxtail. For outdoor cat owners: cats are not immune to this problem. When your kitty comes in for feeding, take the time to give him or her a once over checking for the unfortunate little weed. It is not uncommon for cats to have foxtails become lodged in their eyes as they are walking through the tall grass. Dogs and cats may sneeze at foxtails, but they can cause some serious problems. At Encina we have seen animals with pneumothorax (collapsed lung), dangerous infections that can only be treated with surgery, and animals that have lost eyes as a result of this innocuous looking plant. If you have foxtails in your yard, clear them out now, before the grasses dry out any further. If a foxtail is even slightly embedded, do not attempt to remove it on your own, as any pieces left behind may cause serious infection. Be aware that once a foxtail has embedded, it isn’t going away. Call us at (925)937-5000 if your pet is exhibiting any of the signs mentioned above.